Description: Parent of the universe; Ultimate motherly source of life; the Way that cannot be walked; Gentle omnipotence; Maternal essence; She Who inherently pervades all that exists and occurs; Great Mother Nature; Teacher of wisdom; Ancestress of all doctrines; She Who is the Mystery beyond all mysteries. See also the Goddess Anthology under Tao. To Whom Sacred: the yin-yang symbol. Male Associate: Lover, Lao-Tzu, The-Old-Master, God of blacksmiths and ironmongers. Her description is based on the Tao as expressed in the Tao te Ching. 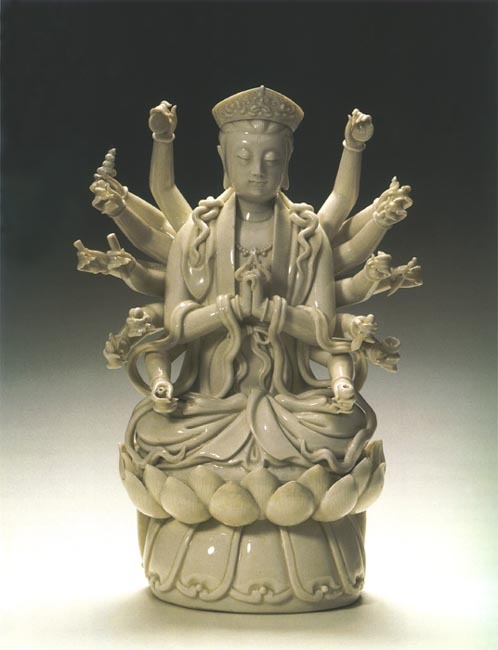 Also called Tou-Mu, Mother-of-the-Pole-Star, but distinguished from Her in Her Cycle of Transformations. Source: Werner DCM 240, 488, 511.
worked on: July 6, 1990; July 30, 1991; April 20, 1992; May, June 1995.